Okay you guys, I'm so excited to share this kitchen with you! You are going to LOVE it. Not a bad 'Before' picture right? It actually looks like a lot of kitchens here in Utah. While it's not bad at all, I understand the homeowner wanting to brighten it up and make it more her style. And brighten it up she did! 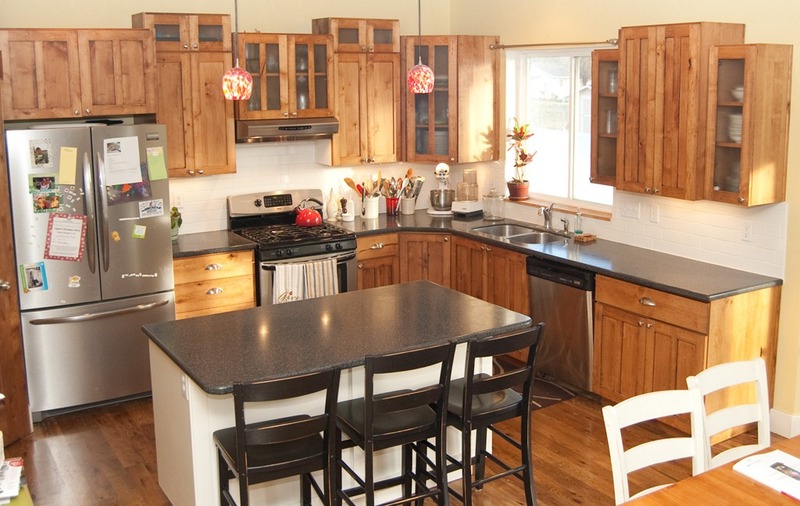 Check out this amazing kitchen now. You can't even tell it's the same space! 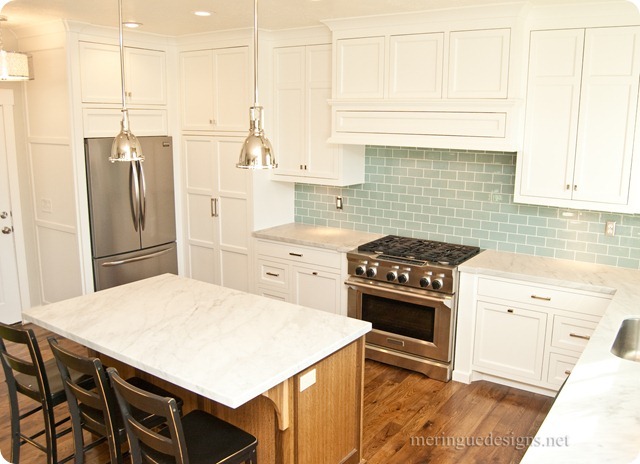 The homeowner selected Carrara marble and then we did a Honed finish on them. While a Honed finish doesn't prevent etching we strongly recommend it for marble in kitchens because it hides the etching better. The edge detail is a 1 1/2" Miter, which I think works perfectly in this kitchen. Benjamin Blackwelder did the cabinets. 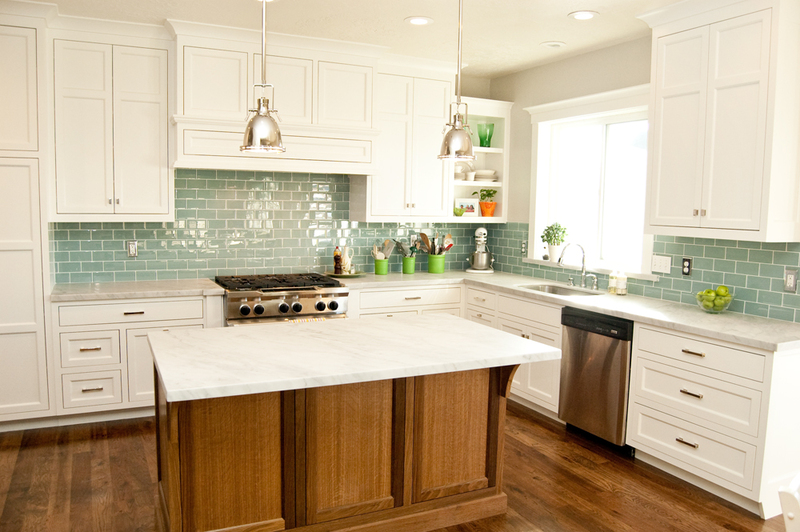 He's one of our favorite cabinet shops to work with, he really knows how to do a white kitchen! We also did Carrara marble in the windowsill. This is a great added detail that I prefer over tile, it's just a cleaner look in my opinion. The gorgeous glass subway tile is from Dal Tile. I love the color that she selected! 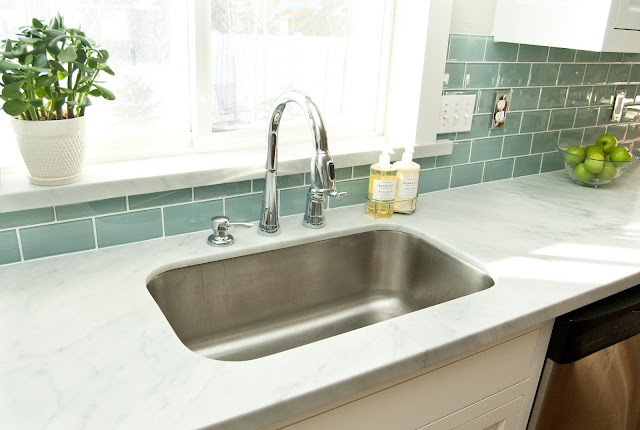 "Countertops: Carrera Marble through MGS Countertops. BJ is the owner and he is great to work with. He made sure I knew all about the pros and cons of Carrera. He even gave me a sample to take home and stain/etch so that I would have no regrets. I “spilled” raspberry jam, lemon juice, oil, and milk onto it to see the effect. He said it will take a year or so to develop a patina. Until then, some of the minor scratches/stains may bug me. I’ve never been fussy about having something look perfectly clean so I doubt I’ll be bothered. In this last week we’ve already made some stains but they just leave a gray cast, which hello, the countertops are already white/gray anyway. There are no white granites (less maintenance than marble) and an engineered quartz stone (Silestone, Caesar stone) was $1,000 more than the Carrera. Gulp." You can read more about this remodel and see a lot more pictures on the homeowner's blog... deep thoughts by cynthia. Definitely check out all four posts on the progress of the remodel. It was interesting to see the transformation and to read why she made the selections that she did. I say this over and over, but we really do have THE BEST clients! Thanks Cynthia for letting us be a part of your gorgeous remodel! L.O.V.E this kitchen!!! 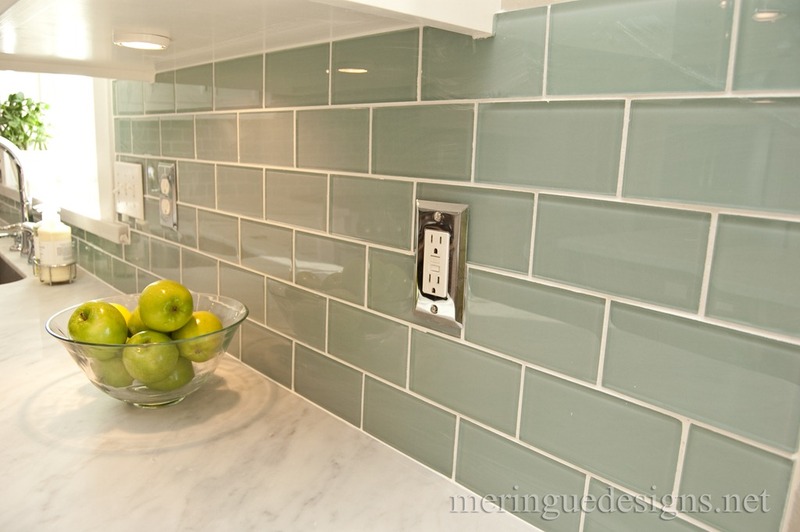 The tile backsplash is perfect with the Carrera marble. Wow. Thanks for sharing. Beautiful! You guys do such amazing work. I love checking out your blog to see all the fun kitchens you do. 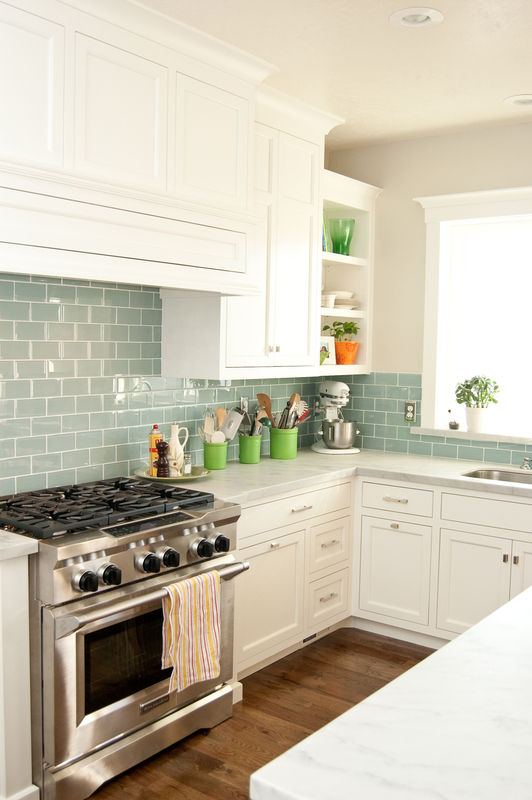 I love that back splash tile. I've been searching everywhere for something like this for my bath. This may be the answer. Thanks!! !